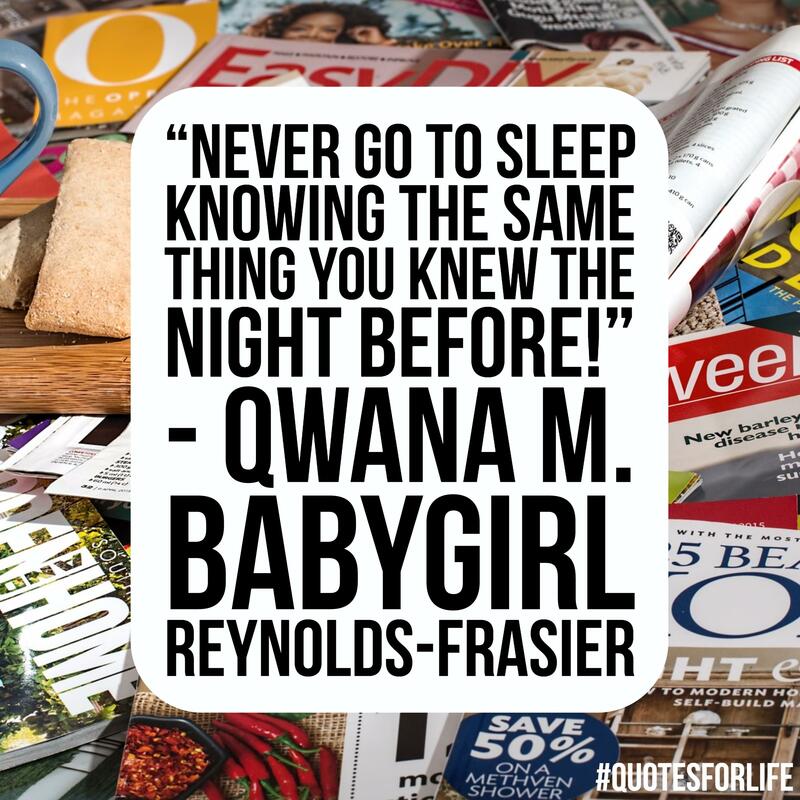 My name is Qwana M. “BabyGirl” Reynolds-Frasier; I am a native New Yorker, A Social Worker in a New York City Juvenile Detention Center for Boys, Mother of two, and Wife. Most importantly I am woman with a “Gift of Word” that will impact anyone who sees or hears my spoken and unspoken words. If you have every longed for deeper personal connections and fulfillment look no further than yourself. My new book Friend In Your Pocket Conversations Session One will you help you do just that. This small pocketbook with less than 300 pages will have you intrigued to do something different leaving a deep impact. Short, sweet, sincere, and to the point Friend In Your Pocket has no fluff, it is powerful and engaging from start to finish. This reader will have you, my “Friend Base” thirsty more. As long as I breathe in my lungs and energy to type these words the “Friend in Your Pocket” franchise will tackle relevant questions and situations we all ponder daily; with vitality, real life examples, quotes, humor, experiments, etc.. This mission will be carried out without rhetoric and page fillers. I Promise ;>)!!! !